Upbound in the St. Marys River being pushed by the Anglian Lady, May 25, 2009. 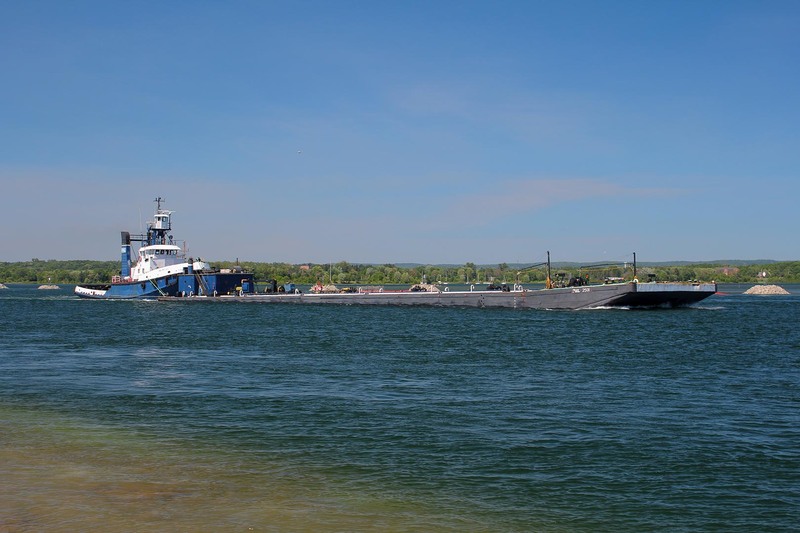 The tanker barge PML 2501 was built as Hull 36 by the Cenac Shipyard Division of the Cenac Towing Co. Ltd., in Houma, LA. The 302' long by 52' wide by 17' deep vessel was completed as CTCO 2505 in 1980 and became part of the Cenac Towing Company fleet. 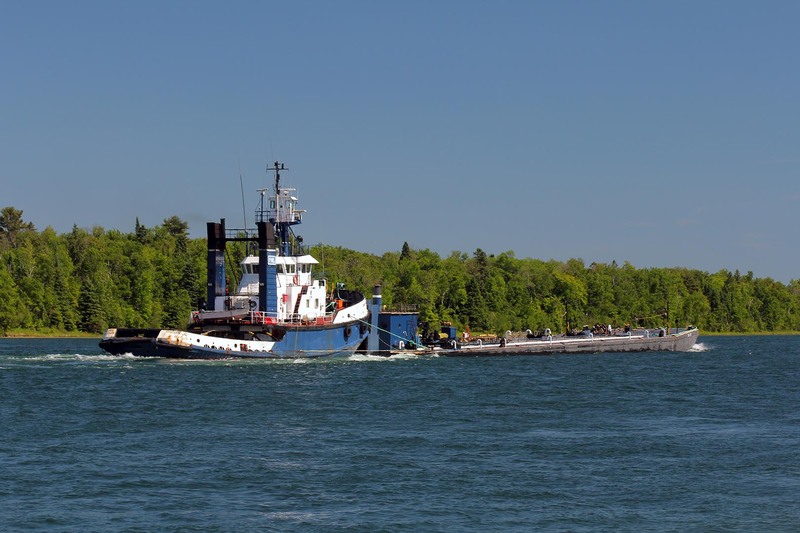 After 16 years of service, the barge was sold to Purvis Marine Limited in 1996 and taken to Bayship at Sturgeon Bay, WS. 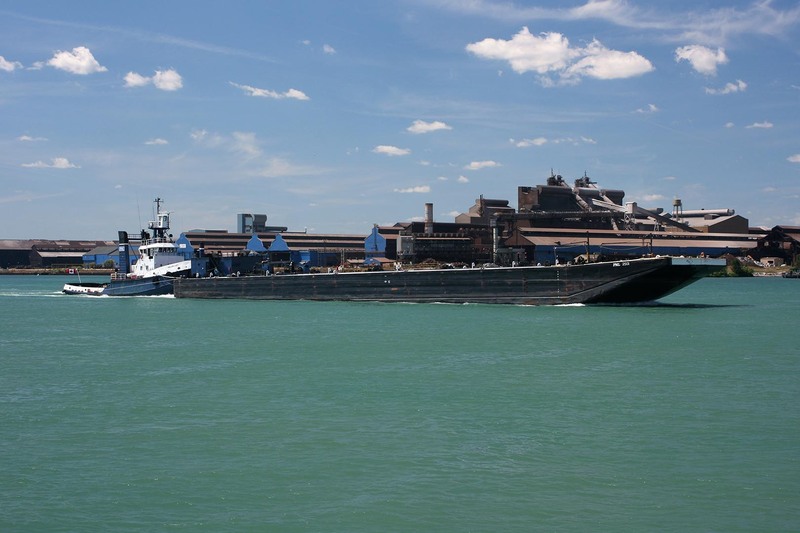 There the vessel received a double hull to meet pending environmental standards for tankers and the ship was re-registered in Canada as PML 2501 (C818823). It arrived at Sault Ste. Marine on Dec. 22, 1996, for winter work including the addition of a deckhouse and heating equipment. PML 2501 loaded coal tar at the Algoma Steel plant on April 1, 1997, and set out on its maiden voyage for Hamilton, ON. 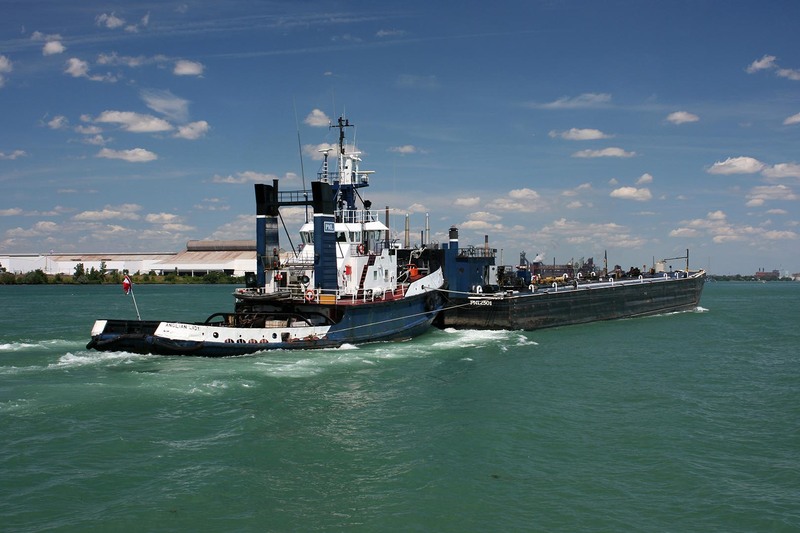 The ship has seen considerable service traveling to each of the Great Lakes hauling chemicals or petroleum products and is frequently pushed by tug Anglian Lady. Upbound in the Detroit River being pushed by the Anglian Lady, Aug. 16, 2008. Anglian Lady pushing clear of the Burlington Piers, April 18, 2010. Wilfred M. Cohen pushing the barge out of Lock 7 on the Welland Canal, April 14, 2012. Downbound at Mission Pt. with the Anglian Lady pushing, June 24, 2014.